You always want to be proactive, not reactive, especially when it comes to safety. That’s why it’s time to start thinking about getting winter tires on your car. Yes, the word “winter” might stimulate your gag reflex this time of year, but biting the bullet is well worth it. 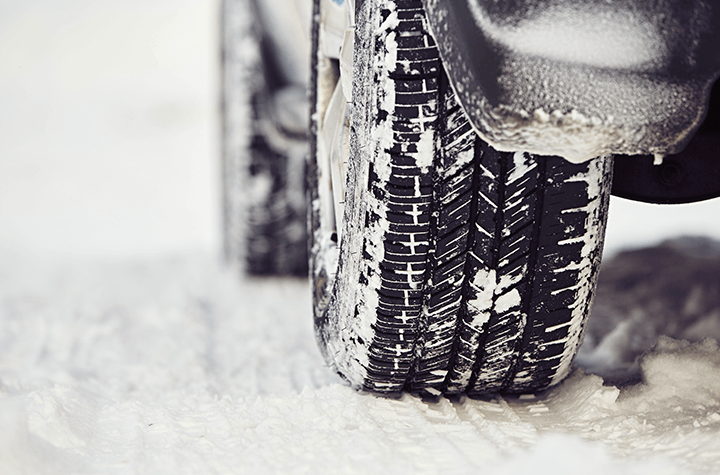 It’s ideal to have winter tires on your car before the first snowfall. Since you don’t know when that will be, it’s good to play it safe and be early. As a general rule, once temperatures start falling below seven degrees Celsius, it’s time to equip your ride with winter-safe tires. Usually, this happens in October or early November. We’ve had a warm September this year, but climate is deceptive, and winter has a nasty habit of sneaking up on Canadians. Sure, it’s warm now, but freezing temperatures and ice storms will be here before you know it. Don’t let winter surprise you this year. If there is snow already on the ground and you don’t have your winter tires, you are taking the peril route. Plus, you might have to wait several days to arrange a service appointment, since everyone will want to install winter tires when the snow and ice arrive. You might also end up paying more. In contrast, if you start shopping for your winter tires early, you will enjoy numerous benefits. You can compare prices and get the best possible tires for the best possible price. Heck, if you go to different auto service you can even ask for discounts, knowing you don’t need the tires right away. Auto servicers offer very competitive prices. There’s only one winner and that’s you. The catch is, you need to make the appointment well before the first snowfall to avoid the mad rush. In some provinces, winter tires are mandatory. In British Columbia, for example, you’ll have to have winter tires on your vehicle by October 1 if you want to use specific highways. But even in places where winter tires are not enforced by law, they are usually a worthwhile safety precaution, and one you want to take advantage of for the entire season. Don’t put it off until the roads are icy. As a general rule, you don’t want to drive to get your new tires while it’s snowing. That’s a pretty clear sign you’ve procrastinated too long. Start price comparing soon and schedule your tire change. You’ll have better luck finding the best price, and you’ll be prepared for the harsh weather sooner rather than later.